Rainbow Six Siege Is Designed For The Long Term !! From the very inception of Rainbow Six Siege, the development team at Ubisoft Montreal knew we wanted to do something different and unexpected for an Ubisoft title. By going all-in with a focus on providing a great online multiplayer experience, we made a commitment to treating our game as a service and investing in it for the long term. Our vision was not a game that you’d play through and “beat,” but something you’d regularly come back to. 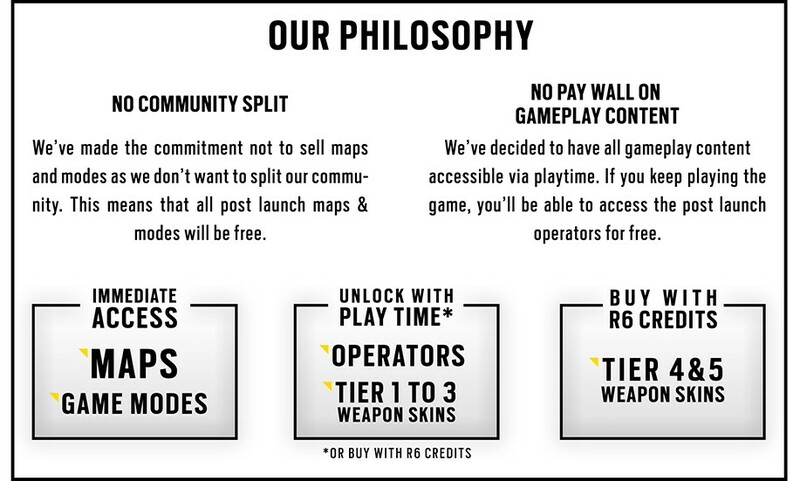 In order to do that, we’ll be actively supporting Rainbow Six Siege with gameplay balancing and tweaks (plus detailed patch notes), events and competitions, and four major content releases with no paywall on gameplay content. A dedicated team of about 80 people will be listening to fan feedback and monitoring gameplay statistics to ensure that we're always providing the best possible experience and also creating opportunities for growth within the community and the game. The operator system, multiplayer and Terrorist Hunt game modes were all designed to expand and meet the demands of an evolving game. One Year, Four “Seasons” of Content. No Paywall. Maps and modes will be free and available immediately for everyone. New operators and most weapon skins can be unlocked with earned currency called Renown, or with R6 Credits (more on these below). The only new content that will be available exclusively by purchase will be a small number of premium weapon skins that are purely aesthetic and have no impact on gameplay. For an online, competitive multiplayer game it’s imperative that we don’t create a divide in the community or introduce “pay to win” mechanics. By doing it this way, we hope to keep our community united and engaged over the long term. With the currency used to unlock new content, we wanted to strike a fair balance for players who would like their playtime to be rewarded (Renown, which are earned) and those who would prefer to buy content outright (R6 Credits, which are purchased). This is a tough balance to strike, as we don’t ever want players to feel forced into paying, so how does it all come together? With the weapon skins, we wanted to make sure that there was something for everyone. 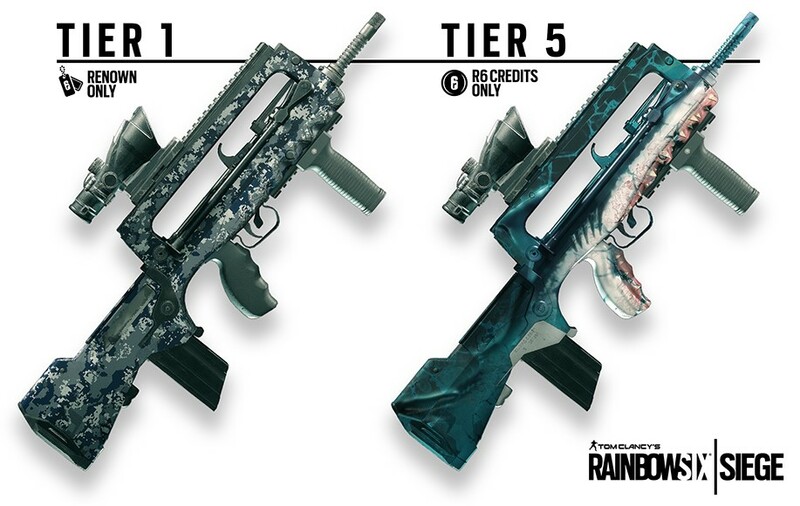 There will be five different tiers of skins available initially for purchase that we will continue to add to in the post-launch, with Tier 1, 2 and 3 unlockable with Renown and Tier 4 and 5 skins requiring R6 Credits to purchase. Some Tier 3 skins can be unlocked with Renown or R6 Credits. These weapon skins, along with any other potential future cosmetic items, will be purely aesthetic and have no impact on gameplay. R6 Credits are the optional currency that you can purchase from the first party platform you’re playing on. R6 Credits can be used to buy Renown Boosters (that allow you to generate Renown faster while playing) and a select few premium weapon skins. They can also be used to unlock new operators instead of using Renown. There will be 5 packages available at launch (600, 1200, 2670, 4920, 7560 R6 Credits), with the higher value bundles offering more R6 Credits per pound. How Much To Unlock Post-Launch Content? There won’t be any need to unlock new maps or modes as those will be available immediately for everyone with each new Season content release. For the rest of the post-launch content, we are still fine-tuning the in-game economy, but we wanted to give you an idea of what it will take to unlock new operators and weapon skins. Each new post-launch operator can be unlocked by playing approximately 25 hours (approx. 25,000 Renown). The data we have suggests that the average FPS player spends 8-10 hours a week playing their favorite FPS (also in-line with our observation during the closed beta), so it should only take between two to three weeks maximum to unlock an operator. With about three months between each Season of content, we hope players with regular game time won’t have trouble saving up enough Renown to unlock both new operators upon their release. Each operator can also be automatically accessed by spending 600 R6 Credits ($4.99 USD). 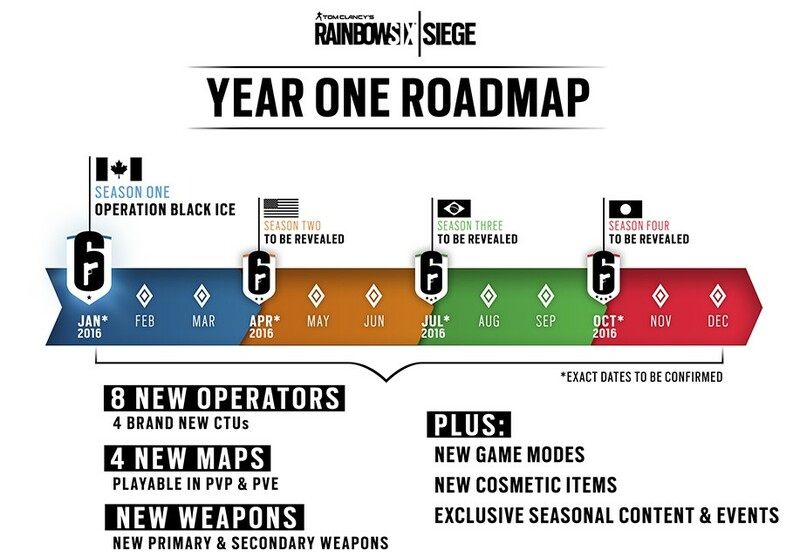 Keep in mind that the initial 20 operators at launch will be unlocked much quicker in the base progression system (500 Renown for first operator in a CTU, 1000 for the second, etc). The idea is that each one of these releases will have a significant impact on the evolving meta of the game. 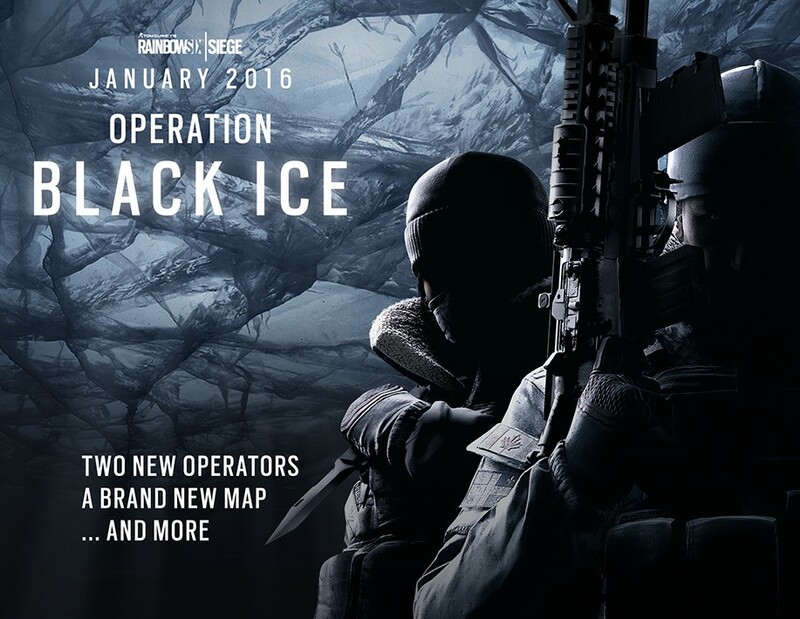 They’ll open new operator combinations and counters, plus a new environment to master. We’re eagerly anticipating observing what you do with these new gameplay elements, and to introduce new modes and events in the future. The launch of Rainbow Six Siege on December 1st is just the beginning of what we want to do with this game. We believe this is a game that will have a long lifespan, and we are eager to continue to support the game as the Rainbow Six community grows. We are very excited to kick off this journey next month and see how the sandbox advances over time with your help. If you’re looking for the best ways to talk to us and give feedback on the game, don’t hesitate to join our subreddit or forums. Thank you for the support you’ve give us thus far, and we’ll talk with you again soon.